Although I often cook meals for my family, that doesn't necessarily mean I love spending time in the kitchen. I cook because I enjoy creating wholesome food for my family and having sit down meals together. Cooking is a big part of us staying on a budget, too. Some nights I want to have a delicious meal that doesn't take a ton of ingredients or forever to make. Those are the nights I turn to Manwich. I remember how much I loved eating sloppy joes as family back when I was a child and that hasn't changed one bit. My whole family loves the flavor and the leftovers disappear in no time (if there are any left)! I love there are 3 different flavor options to choose from including Original, Bold, and Thick & Chunky depending on what we are hungry for. The hearty sauce with a sweet and tangy taste is delicious any night of the week. 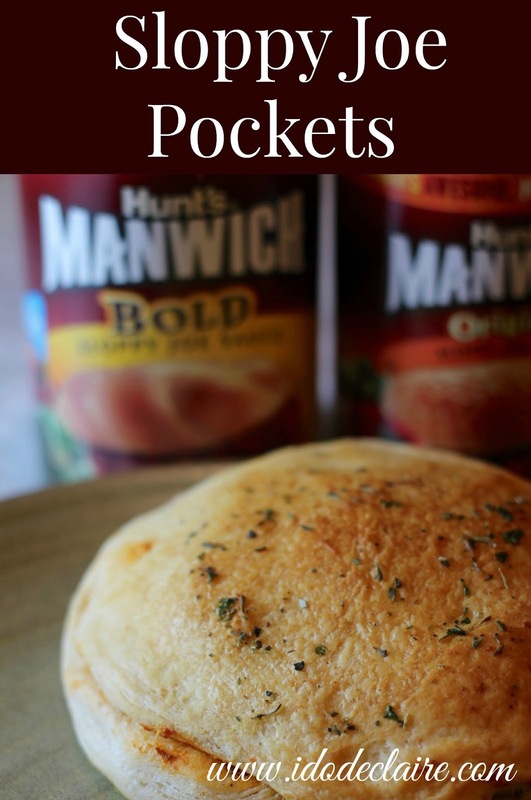 As Manwich is enjoyed with both hands, it really lends itself to a distraction free meal (no texting or video games are possible when both hands are already employed in eating). This easy, quality ingredient will help bring the focus back on family during mealtimes. And since it has no meat, it's perfect for sandwiches, pastas, and more! Sometimes I want to switch up the typical sloppy joe preparation. On those nights I make my family Sloppy Joe Pockets. My daughter has literally called dibs on all the leftovers of these and told us we can't eat them! I guess what I am trying to say is, they are a hit in our house And they are pretty easy to make. 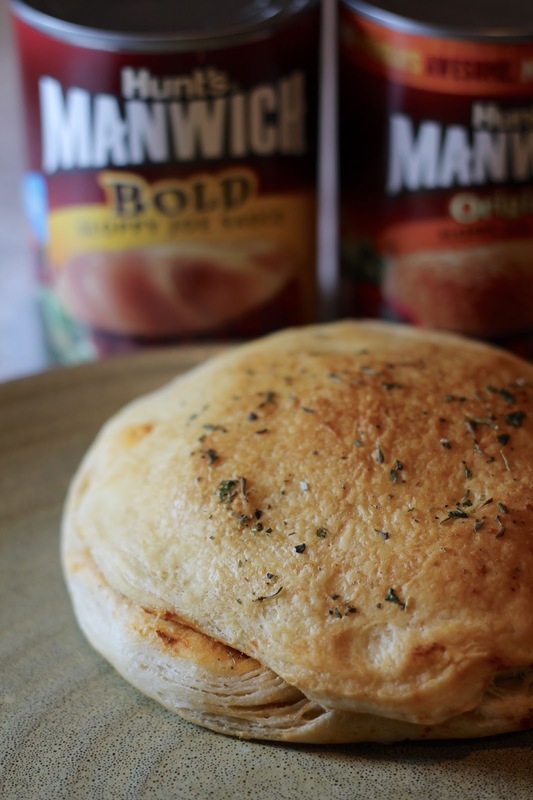 Cook your meat and mix it with your choice of Manwich sauce. Preheat oven according directions on biscuit tube. Line a cooking sheet with parchment paper or nonstick mats. Flatten a biscuit out with your hands and place approximately 1/4c. of meat in the center. Flatten another biscuit and place over top pinching the sides together. Repeat until the meat is gone. Melt 4T. of butter and mix in 1/4t. garlic powder, 1/4t. parsley, 1/4t. Italian seasonings, and 1/4t. seasoning salt. 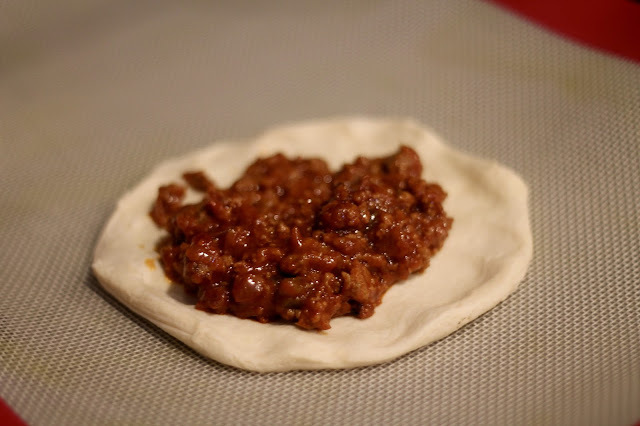 Brush over top of the sloppy joe pockets and bake according to biscuit directions. The fluffy refrigerator biscuits come out so flaky and compliment the Manwich sauce perfectly. The seasoned buttery crust makes a delicious topping. So make tonight a Manwich night with sloppy joes, Sloppy Joe Pockets or check out their recipes and more on their website! A twist on the classic sloppy joe. 1. Cook 1 lb of beef in skillet. Drain off fat. 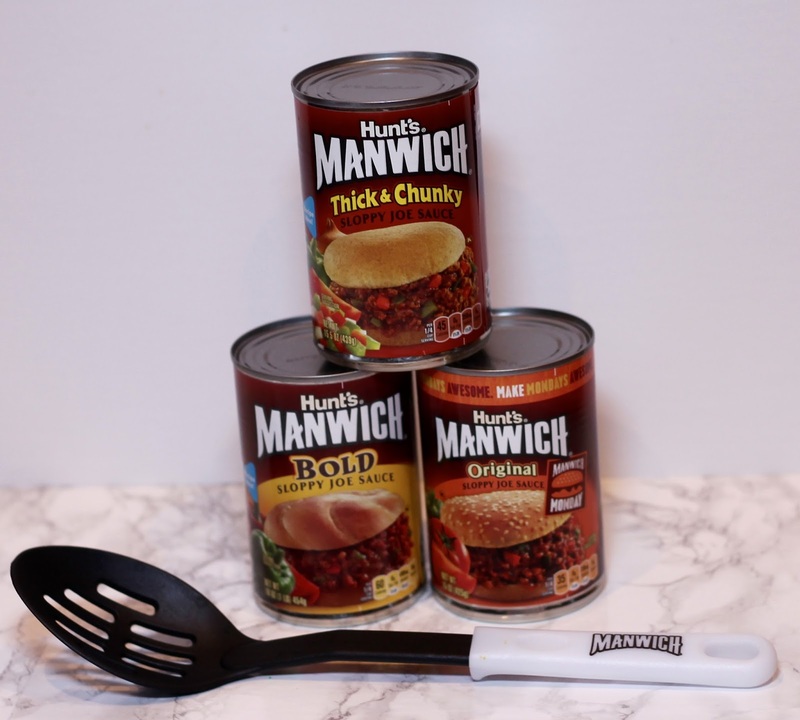 Stir in a can of Manwich sloppy joe sauce. Set aside. 2. Preheat oven according to biscuit package directions. 3. Line a cooking sheet with parchment paper or nonstick mats.4. Flatten a biscuit out with your hands and place approximately 1/4c. of meat in the center. 5. Flatten another biscuit and place over top pinching the sides together. Repeat until the meat is gone. 6. Melt 4T. of butter and mix in 1/4t. garlic powder, 1/4t. parsley, 1/4t. Italian seasonings, and 1/4t. seasoning salt. 7. Brush butter mixture over top of the sloppy joe pockets and bake according to biscuit directions. Enjoy! I haven't had manwich in a long time. I so going to have to try your recipe out soon. This looks delicious! Need to try soon and thanks for sharing!